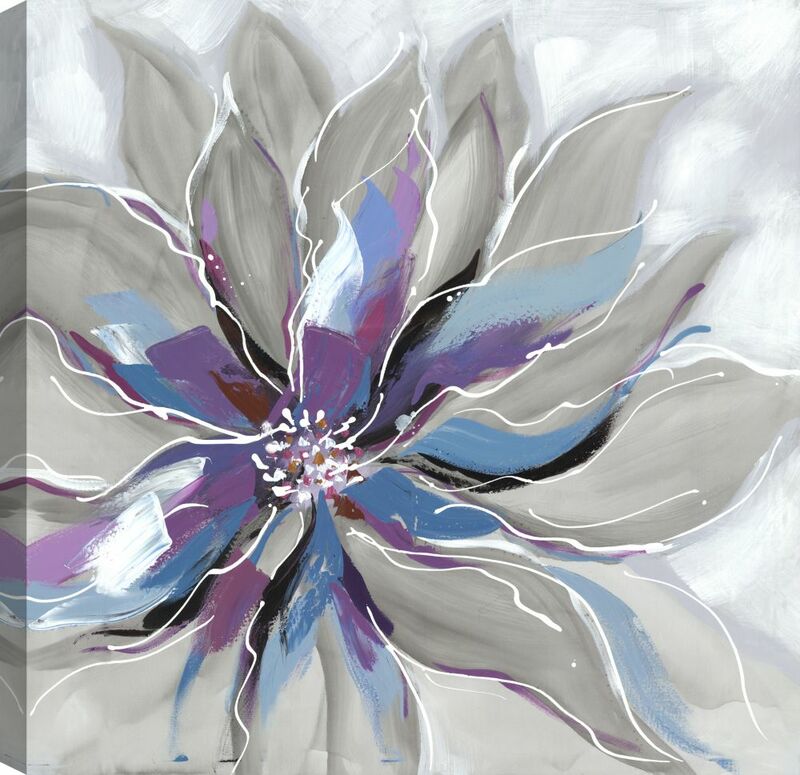 This gorgeous canvas art by Tina O. is a print on wrapped canvas that will be a stunning addition to your home decor. Hang this piece over a bright accent table or hang alongside coordinating wall art, and its range of colors will add class to any room in your home. This beautiful blue leaves wall art is a gorgeous piece, that will be a treasure for your home. It's packaged with care and is shipped to you ready to hang on your wall. This is a stylized floral art, printed on canvas and stretched on MDF. The artwork vivedly describes flowers. This painting is printed on canvas. It has a rich color that will enhance space. The artwork is stretched on solid MDF frame. Made in Canada, gallery wrapped, it is packaged with care and is shipped to you ready to hang on your wall. Brought to you by ArtMaison Canada. Purple Blue Floral Beauty Canvas Print Wall Art This is a beautiful canvas print wall art. It has a rich texture that will enhance space. The artwork is stretched on solid MDF and is unframed. It has one saw tooth hanger and depth of 1.5 inch. Made in Canada, it is packaged with care and is shipped to you, ready to hang on your wall. Brought to you by ArtMaison Canada.